Good morning! 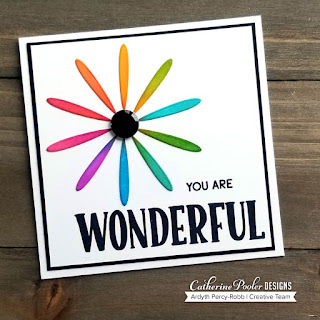 On Wednesday, Catherine Pooler has a new release coming out and it's full of amazing new stamps and dies! Today is the blog hop, and while I'm not on the hop (list is below), I couldn't wait to show you some of the new goodies! I used the new Interlock die to create this card. It's a big mandala-type die and it's delicate and oh, so beautiful! I cut it from white cardstock, and then blended a rainbow of inks over it while the pieces were still in it.Then I popped out the negative pieces and cut the mandala in half, so that I could make it look like it was wrapped around my panel. 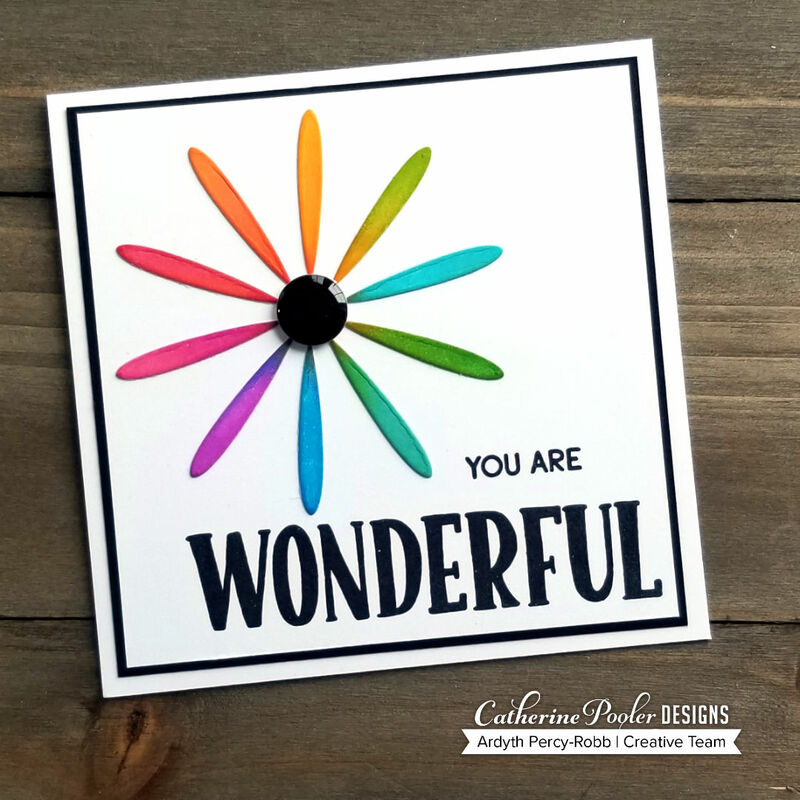 I couldn't bear to throw away all the negative pieces, so I created another card with another sentiment from the Awesome & Wonderful sentiment set. 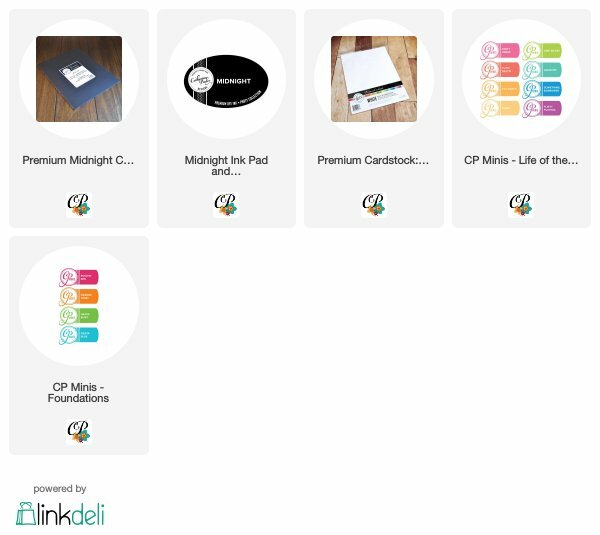 Here's the blog list - be sure to hop and comment for a chance to win! This card is stunning! That die is so delicate. Thanks for sharing. Fabulous cards. Love the colors and the die you used.